Achieving high marks for her rigorous course work as a Health Science major at Castleton helped build an impressive resume for alumni Alexandra Harris before applying for pharmacy school. 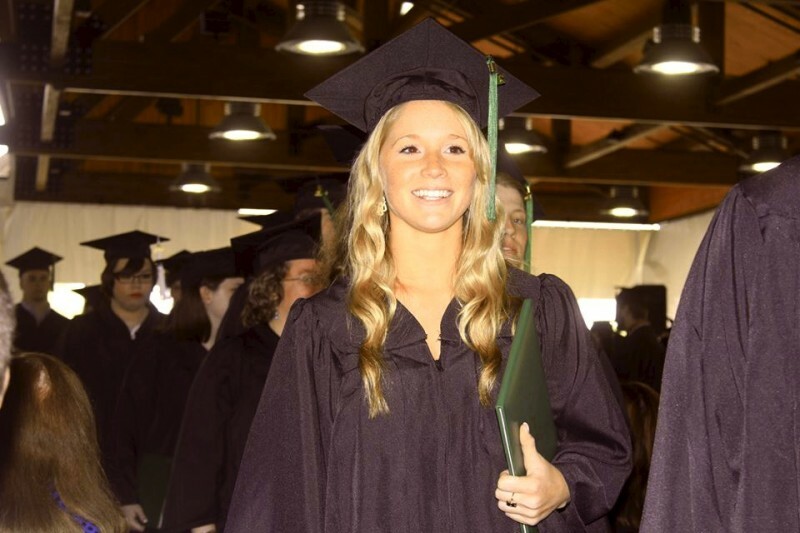 “Castleton helped set me apart from the other future pharmacist prospects,” said Harris. Currently a student at the Albany College of Pharmacy and Health Sciences in Colchester, Vt., the 2014 grad hopes to earn her PhD in years to come. In addition to fulfilling the role of a full-time graduate student, she also serves as an employee at the University of Vermont Medical Center as a Pharmacy Technician. While at Castleton, Harris said it was her professors in the Natural Sciences Department that helped prepare her to continue her education and build a successful post-graduation career. Her time working as a Teaching Assistant in the Chemistry lab also gave Harris a valuable learning experience. “This was a great opportunity for me and I think it really helped me in the application process for pharmacy school,” she said.